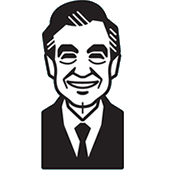 According to IMDB: [Son of Svengoolie] was a weekly television show that originally aired on WFLD 32 in the Chicago area having been spun off of the original series "Screaming Yellow Theatre" (with Jerry G. Bishop as Svengoolie). Starring young wisecracker Rich Koz, the show was an immediate cult favorite, sort of a Dr. Demento of TV, airing multitudes of low budget Sci-Fi and Horror movies, sometimes with Koz's wisecracks and various sound effects thrown in." 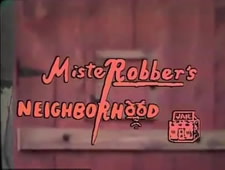 Episode 34, which focused on the movie I Was a Teenage Werewolf, included a bit called "MisteRobber's Neighborhood" with Rich Koz as Sven and Mister Robber. 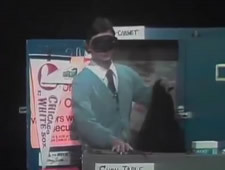 This episode originally aired on local Chicago television on Saturday, February 23, 1980.